The Sephardic Temple Tifereth Israel is a Sephardic Synagogue where tradition meets modern American Jewish religious expressions. Founded by a small group of Sephardic, Ladino speaking immigrants in 1920, we have grown into a full service congregation, with a membership representing a diverse international cultural background, including Sephardim and Ashkenazim. Currently the Sephardic Temple Tifereth Israel is home to approximately 600 families from all different cultures. Our diverse congregation is made up of families from all over the world. We have members from Israel, Turkey, Rhodes, Greece, Egypt, Iran, Cuba and The United States of America. 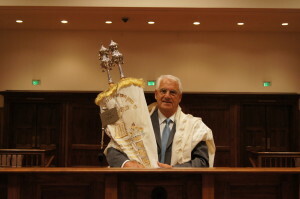 We are a modern synagogue in the Sephardic Tradition. Our warm, welcoming and impassioned community has one of the most beautiful sanctuaries in the world. Our dynamic clergy, Rabbi Tal Sessler, PhD and Hazan Haim Mizrahi, lead us in spiritual services. Our community offers stimulating adult education classes, social, educational and cultural events sponsored by our Or Chadash Sisterhood and Men’s Club, and youth and senior activities. We invite you to join us for our Daily Minyan services, holiday and Shabbat morning services where you, along with hundreds of others, will experience first-hand the unique and meaningful way in which we celebrate the eternity of Torah while emphasizing its relevance for our lives in the 21st century. 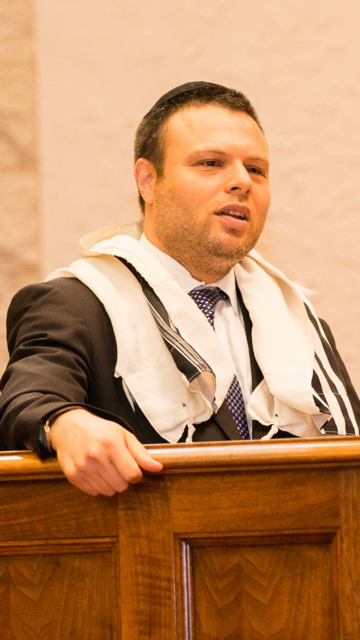 With a passion for making Torah relevant to life in the twenty-first century, Rabbi Sessler joins the STTI community, bringing a fresh and dynamic approach to Jewish spirituality.